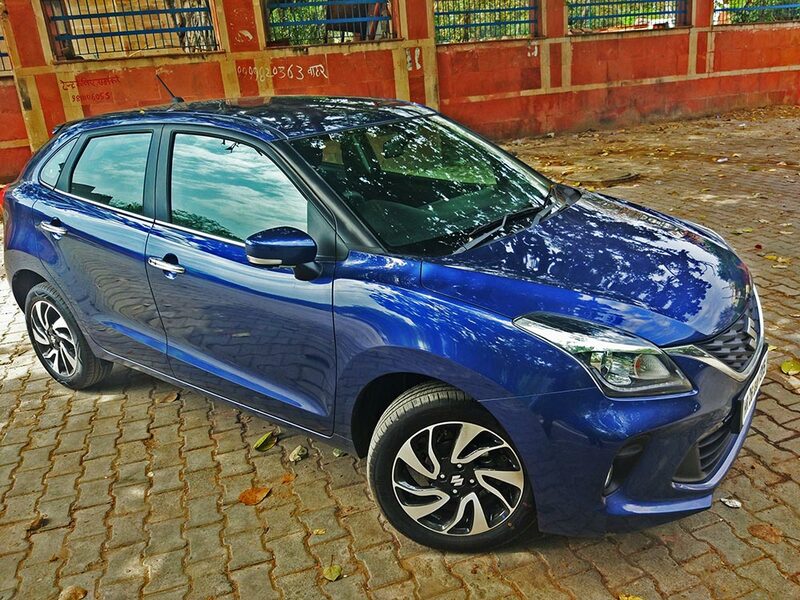 The Baleno is the best selling premium hatchback - The new facelift makes its position more stronger! Full review coverage follows. This car does not need any introduction at all. 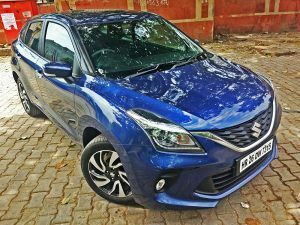 The Baleno has been one of the biggest hits of Maruti Suzuki in India and shows how well it understands the Indian car buyer. It is the best selling premium hatchback in India with sales crossing 15k comfortably every month. 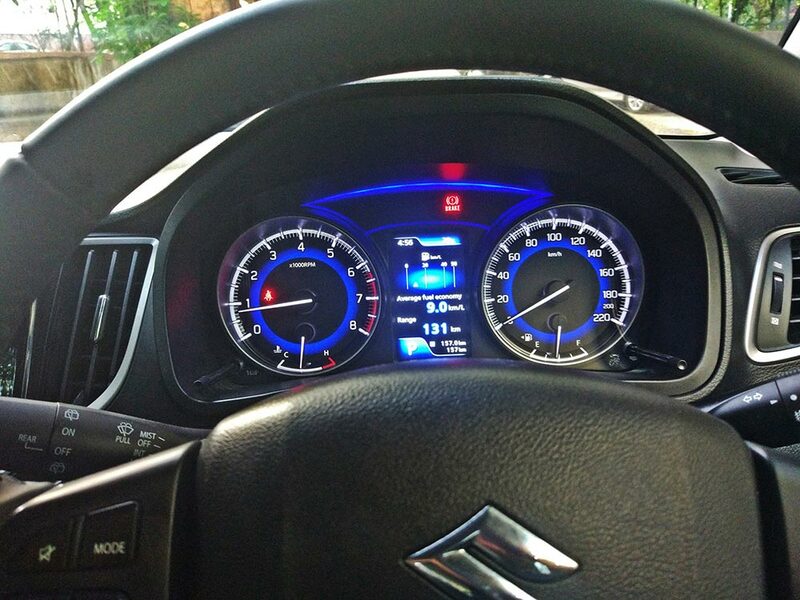 It did not need a facelift but Maruti has given it so how good is it? Read on. 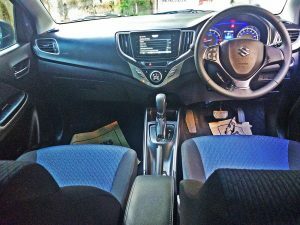 The earlier Baleno was a good looking hatchback but now Maruti have increased the sportiness with the new one. It looks much more aggressive now and that is best seen from the front. It gets a much more aggressive looking front bumper and a bigger airdam plus new fog lamp enclosures. The side and rear are the same but the one change is the new 16 inch two-tone alloys which are a lot more snazzy over the earlier one. In short while the changes are small, it looks much more sharper and aggressive now. 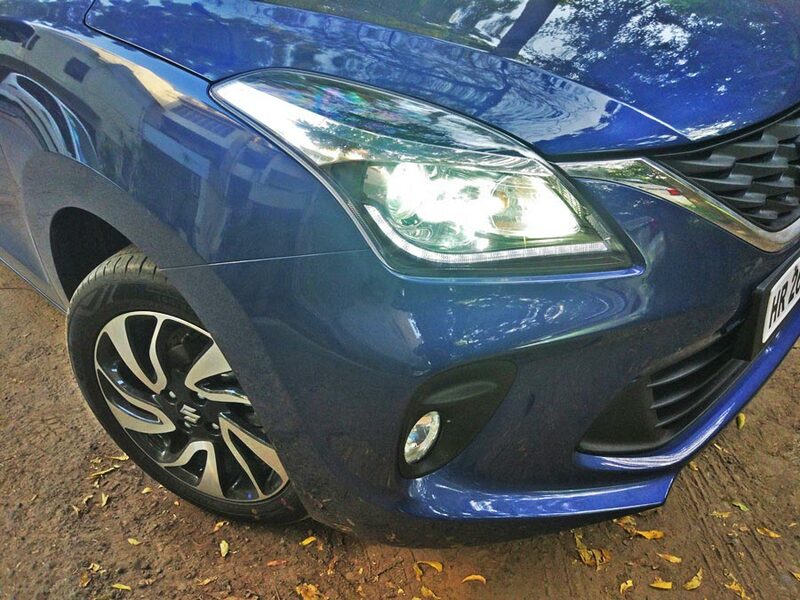 The Baleno RS gets an even more wider bumper and different alloys. There are two new colours offered in New Baleno 2019 model – Phoenix Red and Magma Grey. The Baleno which we test drove and reviewed is in “NEXA BLUE” color. 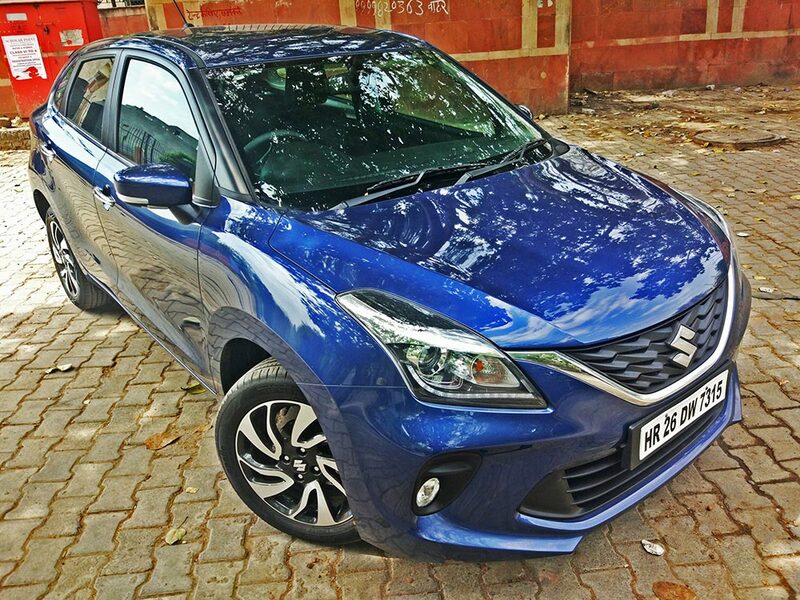 With the new Swift getting more premium, Maruti needed to distinguish the Baleno a bit more. As a result the new Baleno looks a lot more premium with better materials used. There is a new dual tone black and dark blue fabric used inside which makes the cabin much better than the earlier all black. 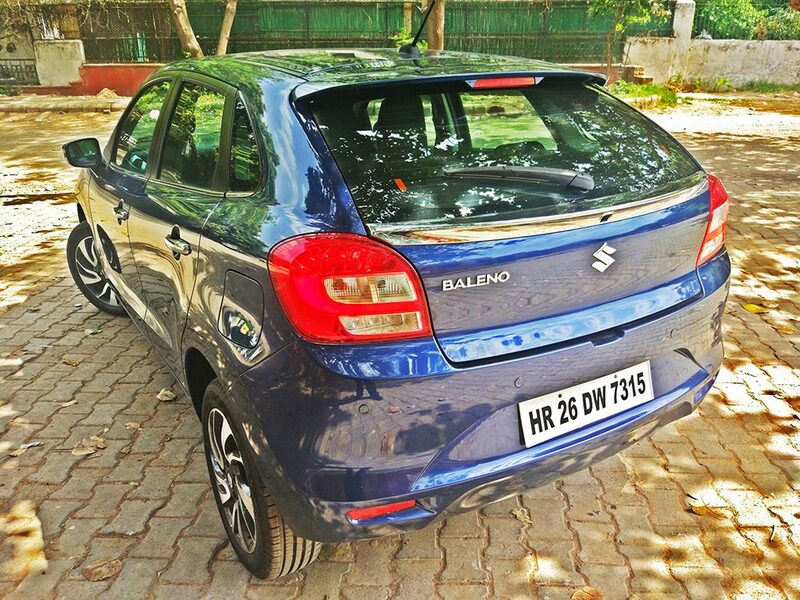 Space continues to be very good as the earlier Baleno. 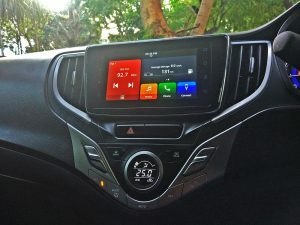 The biggest change in the new Baleno is the new infotainment system called as Smart Play studio. 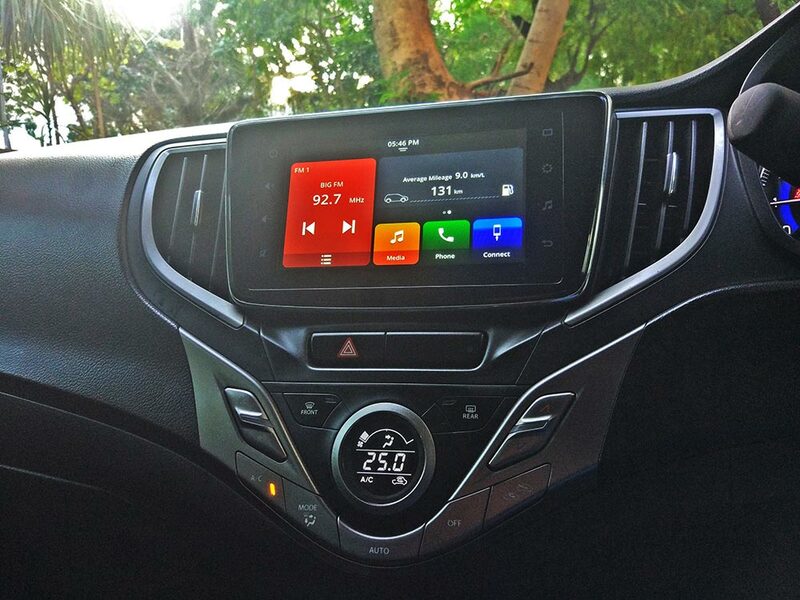 While the screen size is same, the interface, usability is much better than the last infotainment system by Maruti. The graphics are better too. 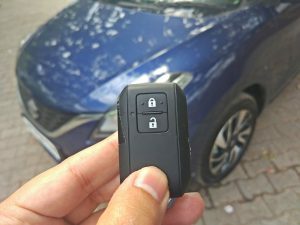 The Baleno is the first NEXA car to get it. The engines stay the same with the 83 bhp 1.2L petrol and the 74 bhp 1.3 diesel. The petrol gets a CVT option while the diesel is manual only. The one to buy is the petrol though as it is quick and fun with being eager to rev. 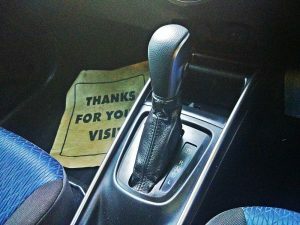 It is much more silent and refined plus is enjoyable to drive. The petrol manual is the best option for its light clutch and smooth gearbox- you do not miss an auto. If you do want an auto, the CVT petrol is fairly smooth for city use but is a bit noisy when you push it plus there are no paddle shifters and the mileage is not as good as the manual too. The diesel has a bit of a lag and is best if you do really long distance to justify a diesel. In terms of mileage it is 21.4 kmpl for petrol and 27.4 kmpl for diesel. There are four trims but the best value is the Zeta which nearly has all the features. The Alpha though is the top-end which gets a few extra like DRLS, LED tail-lamps, UV cut glass, leather wrapped steering wheel and more. 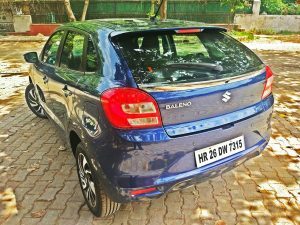 Prices for the Baleno have increased with a starting price of Rs 5.5 lakh to Rs 8.9 lakh. Its main rival is the i20 which has a price range of Rs 5.5 lakh to Rs 9.3 lakh. The Jazz is expensive at Rs 7.5 lakh to Rs 9.4 lakh. The Polo is priced at Rs 5.7 lakh to Rs 9.7 lakh. The Baleno is the most fuel efficient of this bunch while the Elite i20 has the most equipment and Jazz is the most spacious. 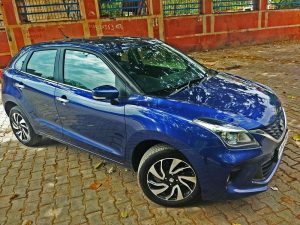 However the Baleno strikes a right balance of mileage, features and performance. 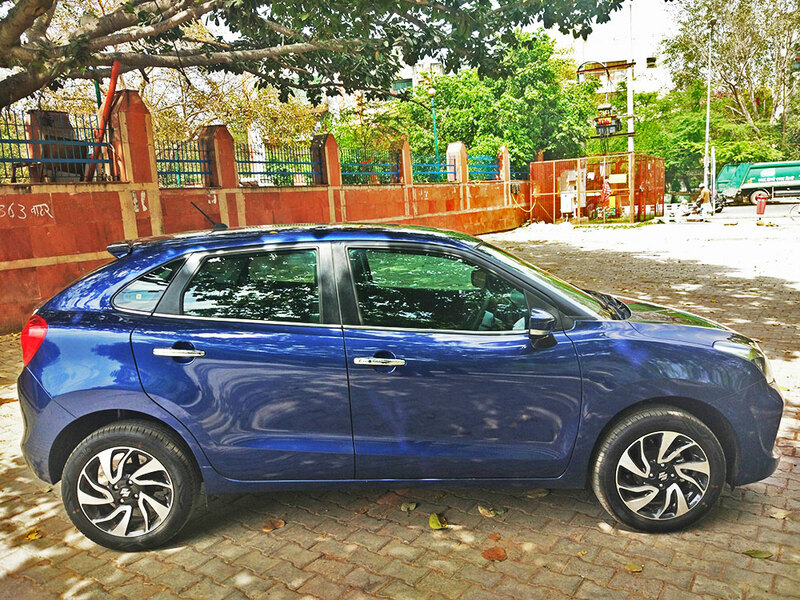 The Baleno is the best selling premium hatchback and this only makes its position stronger. The sharper looks, updated interior only make it better while the rest of the package is convincing as ever. A strong choice in this segment as ever.